Artificial intelligence (AI) has come a long way since the term was first coined at a Dartmouth summer research project in 1956. Today, these machines that mimic human acts and intelligence have evolved to polarise debate on a global scale — and whether seen as friend or foe, AI is on track to revolutionise the world of luxury as we know it. L uxury, until recently, has been largely defined by what we own — cars, clothes, property… the list goes on. It’s only really in the last decade or so, that the term luxury has progressed to become more about the intangible riches in life — access to unique experiences, sustainability & social consciousness, health/wellness — and longevity of lifespan itself. According to futurist Julien Tauvel, who recently spoke at an exploratory workshop hosted by French media hub Journal de Luxe, this is a luxury trend which is set to continue — and accelerate — in a big way, and AI (in all its forms) will be central to that evolution. Revealing his vision for the future at the event in Paris, Tauvel split his presentation into three key time continuums and blindfolded our captive audience to more vividly illustrate what luxury will look like in the years 2025, 2041 and 2066, tethering his predictions to cutting-edge inventions which exist or are in development today to support his forecasts. Julien Tauvel of Prudence (top); Journal du Luxe event in Paris (bottom). Credit: Rhodri Jones. In each time segment, the definition of luxury as we know it had changed, and at every stage, AI had been cataclysmic in driving that evolution, and delivery of the ‘new’ luxury ideal. By 2025, for example, the world and the way we live will already have accelerated significantly, largely driven by advances in AI. Reality, virtual reality (VR) and augmented reality (AR) will have blended to become the hybrid, daily norm and luxury will be all about exclusivity measured in minutes, hyper-personalisation, enhancement, and escape. We can see steps toward these developments today, through innovations such as the Microsoft HoloLens and Apple’s AR Kit — both of which will soon flood the market en mass — and the limited edition Rochambeau smart jacket ‘BRIGHT BMBR’, which gives a handful of rare jacket owners exclusive access to top-end dining, culture and retail experiences via NFC and QR tags hidden in the left sleeve. The next generation of these creations will essentially render boredom obsolete in the future, as luxury travel, instant escape and ultra-personalised access become a viable reality for the wealthy, who will have an infinite number of activities and destinations literally available at their fingertips. Furthermore, AI-driven softwares that analyse and interpret our sub-conscious micro-expressions, online preferences, social trends, spending habits, personal search-terms and purchases — such as those being pioneered by Datakalab, Heuritech and Alibaba’s FashionAI — will proliferate to the point where our product choices are all but selected for us; and fashion faux pas will be a thing of the past for those luxury consumers who can afford the best and latest predictive trend technology which forecasts the style of tomorrow, tailored to each individual persona, face and form. Amazon’s Echo Look/style Check app, New York-based beauty start-up Prose, Thread and Birchbox are prime examples of inventions on this path. In that same vein, as software developments evolve to track our every need and desire, so too will AI-backed systems which, in contrast, serve to protect our privacy and take anonymity to new heights. Sirin Labs’ 5.5-inch Android smartphone Solarin — which retails at a hefty US$16,666 a pop — is a perfect case in point, with its target market reportedly steadfastly set on “very wealthy people believing their privacy and security to be priceless”. 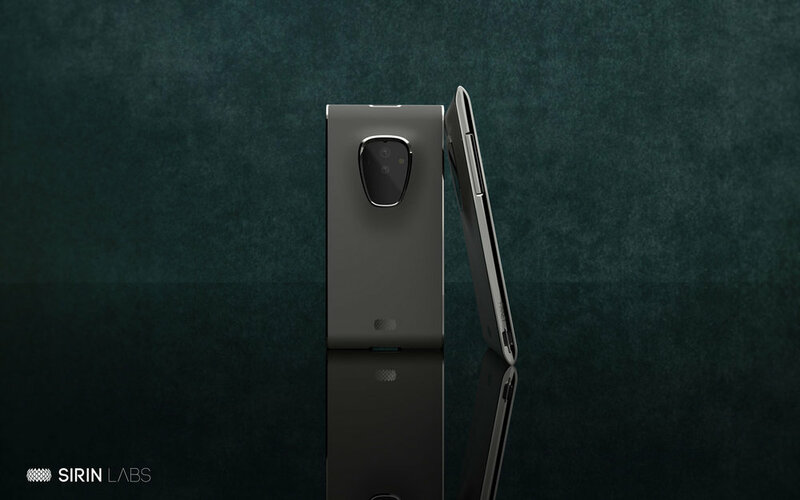 'Finney', the latest in the line of Sirin Labs blockchain smartphones. Credit: Sirin Labs. Yet, by 2041 — where we fast-forward again to a world where artificial intelligence has further simplified our everyday life — luxury will revolve around optimising our time and amplifying our epicurean tastes to the max, as well as expanding our horizons in healthcare and wellness. Art as an avenue of leisure in luxury circles, for example, may have evolved beyond what we know and what we as humans can create, and 3D printing — as per the algorithmically-generated grottos Digital Grotesque I & II— will be everywhere, with 4D on the rise and regarded as the new ‘must have’ for connoisseurs of architecture, designer furniture, décor and sculpture. Then, as AI continues to unlock the secrets of health, longevity and our very DNA, inventions such as Cue and the Neuma Biowatch — which exist today to connect us to our health at a molecular level — will evolve, and optimum wellness will become a luxury which still comes at a price but is much more easily attainable in practice for those who can pay the premium. Finally, by 2066 — which is where Tauvel’s temporal space journey ends today — AI will have become inextricable from our lives. The pinnacles of luxury by then will be less digital and more visceral, with AI inching ever closer to eventually perhaps even bestowing the ultimate gift on the elite — that of immortality. The new AI project from Microsoft called Elevation, which uses CRISPR data to increase the efficiency and accuracy of gene editing to treat and cure diseases, increase birth rates and even alleviate allergic reactions, is a step in this direction. In this scenario, inventions in beta such as Eternime — a network of artificially-intelligent avatars, which preserves its members' thoughts, stories, and memories for eternity — may have also evolved even further, perhaps even eclipsing Musk’s latest experiment, Neuralink — which is reported to be developing implantable brain–computer interfaces (BCIs). 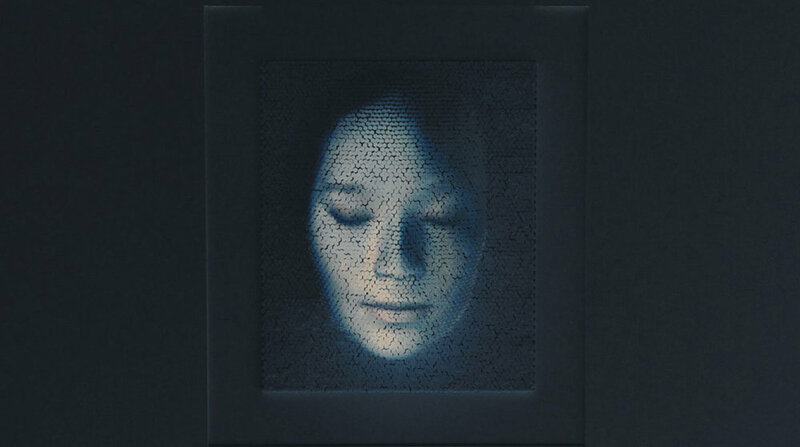 OPALE : An emotive garment which can recognise and respond to the facial expressions of people around. Credit: Behnaz Farahi. Perceptions of beauty and luxury accessorising will also adapt accordingly to this new AI domain, as innovations in the thread of Intel’s ‘Connected Colours’, WOW’s kagami / Real-time Face Generator and Fubiz eventually make it possible for purveyors of luxury to essentially choose a ‘digital skin’ as a form of haute fashion, and freedom of expression through sensory, self-responsive couture (see Behnaz Farahi’s work) becomes the calling card of the stylish and avant-garde elite. Beyond that, we don’t really know, and only the likes of Tauvel and Musk can speculate — but what is absolutely certain, is that AI is evolving at breakneck speed and it will drastically transform the traditional tenets of luxury — whether we as consumers are ready, or not. Hyundai-owned luxury car company Genesis Motors could be the marque to take on Tesla. Here, the man at the helm introduces their latest electric model, and explains why they’re a force to be reckoned with. Brands can buy buzz, likes and coverage — but customer loyalty remains a true luxury. Here, we crack the formula for what gets customers coming back for good.